Some dogs are happy with a simple daily walk around the block, but for many dogs this is simply not enough activity. Still, some dog owners have physical limitations, and just about everyone is busy. Happily, there are a few ways to make your walk MORE. More exciting, more physically demanding, and requiring more brainpower. This is my least favorite method of wearing out a dog on a walk. Strap a pack on your dog, weight it down with a couple of water bottles or cans of soup, and have him work harder. This is quite a popular idea in my area, but I dislike it because it gives the dog no choice. He's going to have to walk as far as you tell him to walk, and he's going to have to carry that pack the entire time. The weight puts additional stress on his joints, and can make him sore if the pack doesn't fit well. I think dog backpacks are great for backpacking and hiking and carrying useful things, but I dislike them being used purely to induce fatigue. Does your dog pull like a sled dog? Although polite leash walking is considered by many to be a crucial skill for a well-mannered dog, pulling is actually incredibly good exercise. 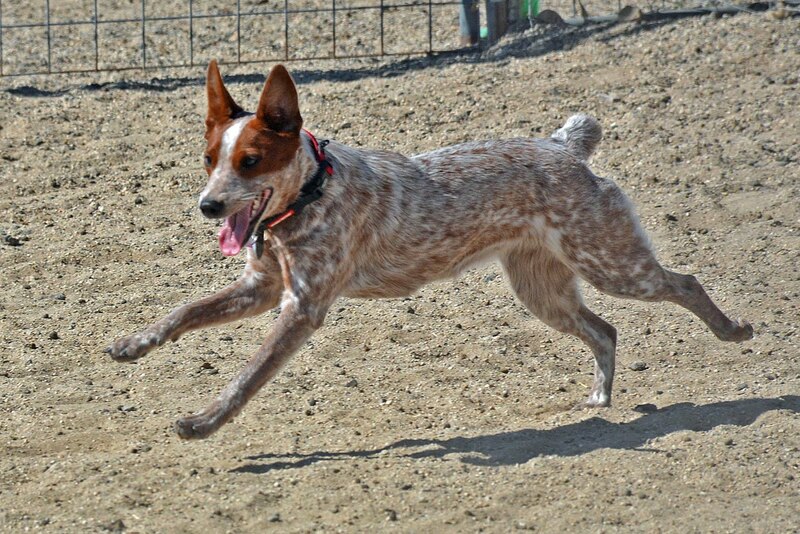 Sometimes called "roading", pulling on leash is used to condition hunting dogs and canine athletes. 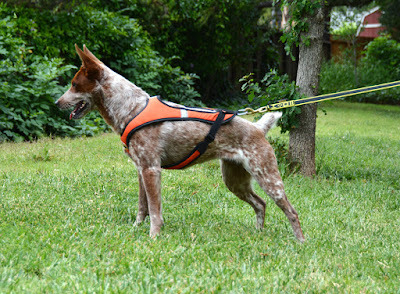 It can be done with a very wide collar, but pulling is safest and most comfortable for the dog in a harness designed for the purpose. A sledding or mushing harness and a stretchy leash are easiest on your dog's body, and a wide belt is easiest on your own body. 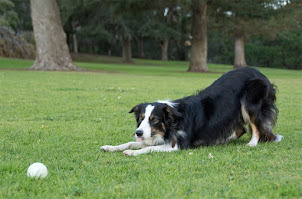 Best of all, pulling is a low-impact activity where your dog gets to decide how hard he's going to work. I allow my dogs to pull when they are wearing harnesses, but require them to walk politely on a collar. There should be more than just a leash connecting you and your dog on a walk. Everyone needs some down time to sniff, but you can add some mental gymnastics for your dog to help make the whole outing more stimulating. I like teaching loose leash walking by making leash pressure into a cue for my dog to check in with me. Even after my dogs have mastered the skill of walking politely, I reinforce the behavior by occasionally giving the leash a little tug and rewarding them for looking at me. I also reward them for offering attention without being prompted, I like having a dog that occasionally looks back at me on a walk. 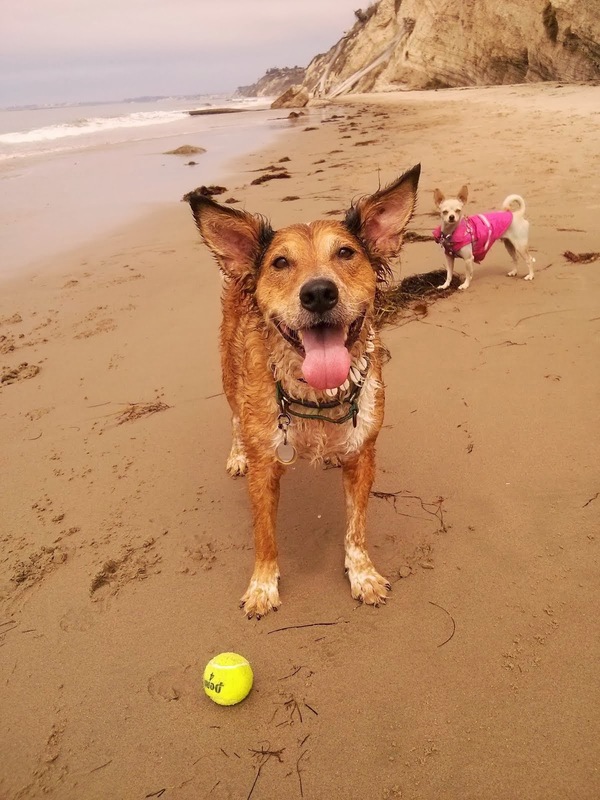 When we see something exciting, like a skateboarder or another dog, I reward my dogs for looking at that thing, which turns scary or exciting things into cues to check in with me. Your daily walk can become a little adventure when you ask your dog to interact with the various objects that you pass. My current suburban neighborhood has a lot of small retaining walls and little short markers between the lawns, these are fun for my dogs to jump or stand on. Depending on where we walk, we might encounter low walls to balance on, rocks to sit and stay on, or park benches to crawl under. Even asking my dog to put her front paws on a fire hydrant or the low branch of a tree challenges her balance and makes her think. I might send her around a signpost, or ask her to touch her nose to a flower. Practicing her tricks with novel objects helps strengthen those behaviors, and provides a surprising amount of mental stimulation. Remember, a tired dog is a good dog, but it may take more than a simple walk around the block to tire your dog out. A flirt pole or springpole is a great way to get them some exercise in a small space, and you can fit quite a bit of exercise into that walk around the block if you try. These soft, chewy Beef Recipe Bars by Caru are awesome for dogs that can't eat hard dog biscuits. These are very soft and moist, and they don't stink to high heaven either. The bars are very easy to tear into small pieces, and they can be rolled up to put inside a Kong toy. The bag is resealable, and the treats stayed moist and soft for more than two weeks after I opened the bag. Good For: High value training treats. Dogs that have had recent mouth surgery and can't eat hard things. 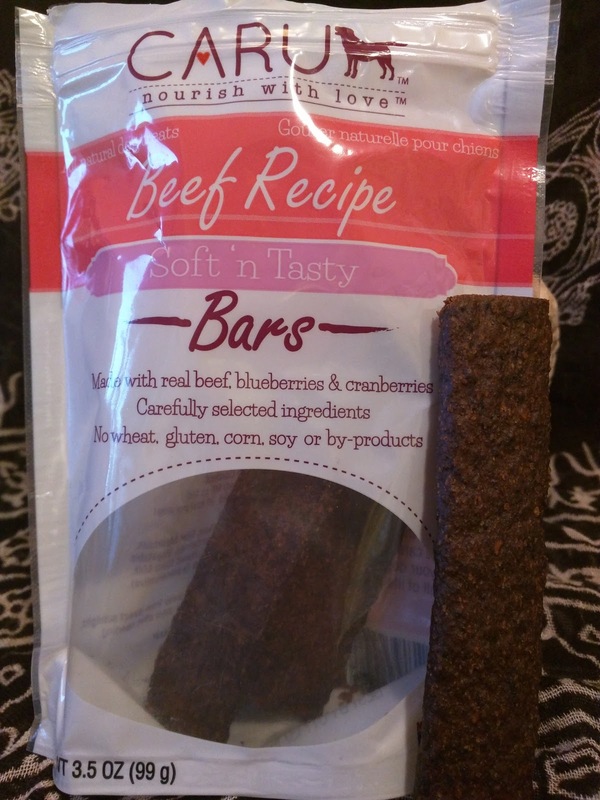 Dogs with allergies to anything other than beef, beets, cranberries, blueberries, or dairy products. Picky dogs. Staying soft and moist after the bag has been opened. Not Good For: Forgetting in Kongs under the furniture. How Much We Like Them: I really wish they made bigger bags of these. 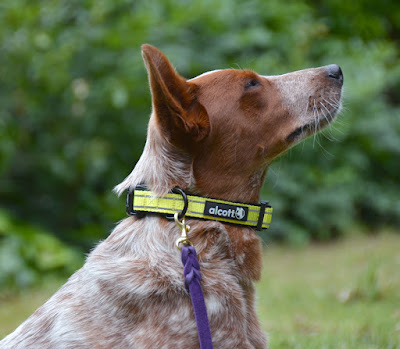 Alcott's Essential Visibility Collar combined bright safety yellow with reflective strips for low-light adventures. The collar is padded with neoprene, nad has a quick-release buckle. Alcott offers this collar in several other, less visible colors. It comes in three sizes to fit necks 10-26" around. We started carrying these at doggy daycare a while back, and we sold a ton of them. They look great! 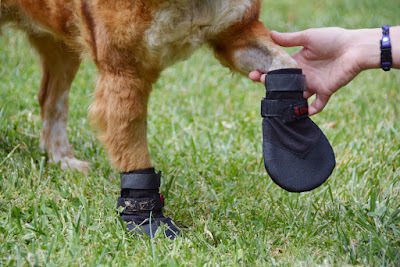 Many of our regular clients purchased them, so I've had a firsthand view of how they weather daily wear on active dogs. I have to say, I'm not impressed. More than a year later they still look pretty good on the fluffier dogs that have some hair covering the collar. However, on the shorter-haired dogs these collars now look quite faded and dirty. Some of the reflective striping has either worn or peeled off. The neon yellow has turned sort of pastel. Highly visible when new. Easy to put on. Cons: Gets faded and icky within a few months when worn daily. The smaller sizes can be extremely difficult to adjust. Bottom Line: I could see pulling this collar out specifically for low-visibility outings, but with continuous wear it loses most of its special function and just becomes a regular collar. This Holt Head Collar is often sold under the Top Paw and Walk n' Train brands. 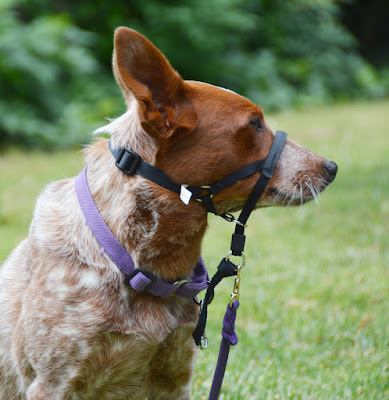 It features an adjustable slide lock on the bottom of the noseband, foam padding on the top of the noseband, and a safety strap that connects to the dog's regular collar. This collar is currently available in four colors, including pink! I picked this head halter up at a thrift store for less than a dollar, assuming it to be another Halti knockoff. As it turns out, this Holt collar has a couple of features that the Halti lacks. You can't really tell from the picture, but the inside of the noseband is padded with foam. 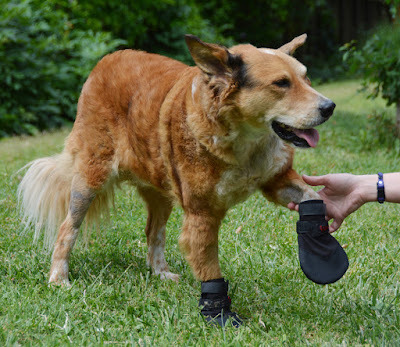 This seems to make it rub less on the top of the muzzle, and also provides a little bit of shock absorption if the dog makes a sudden move. One of the big features of the Gentle Leader headcollar is the slide lock on the noseband that limits how wide it can open. There is nothing to limit the noseband on the Halti, however it does have cheekpieces that help keep the band in place. The Walk & Train head halter offers the best of both worlds, with cheekpieces to help hold the noseband in place, and a slidelock that can limit how far it opens. Pros: More comfortable than other head halters we've tried. Padded noseband comes standard. Unique combination of features allows for a secure and comfortable fit. Cons: Adjustment features make it easier to misuse the collar, too tight and the dog won't be able to pant effectively. Bottom Line: I had grabbed this head halter out of a drawer because I needed one in a pinch, but it has turned out to be a favorite. 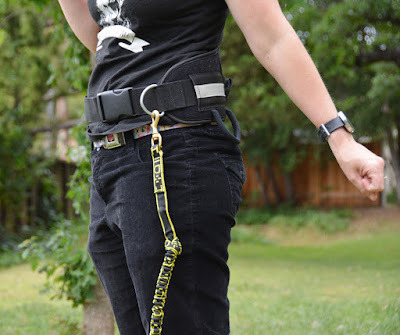 Howling Dog Alaska's Trekking Belt is a nice hands-free way to let your dog pull like a sled dog without sacrificing your arms or shoulders. It spreads out the force of your pulling dogs while providing nice back support. It has a pocket and bottle holder, and a nice big ring for any sort of leash attachment. Comes in one size and one color. Pulling is a lot of work, and one way to help tire out a dog with seemingly boundless energy. While loose leash walking is an essential skill to have, there's a good reason to let your dog pull in certain circumstances. I've taught my dogs to walk nicely when they are wearing neck collars. However, I do allow them to pull when they are wearing back-clipping body harnesses. I started out teaching Brisbane to never pull on the leash at all, and this turned out to be a mistake as I'd like him to be comfortable enough with leash tension to handle being on a retractable leash. Sisci knows she is allowed to pull when wearing a harness, so she doesn't mind the tension from the Flexi leash. However, walking her on a harness can be tiring after a while. When I wear the Trekking Belt, I can hook her up with an elastic line and she can pull her heart out for the entire walk. This helps build muscle and also wears her out without putting extra stress on her joints. A lot of people put weighted packs on their dogs to help tire them on walks, but this is lower impact and better for doggy body building. Pros: Distributes force well. Very supportive and nice on the lower back. Goes with everything. Cons: It tends to ride up a bit on long walks. 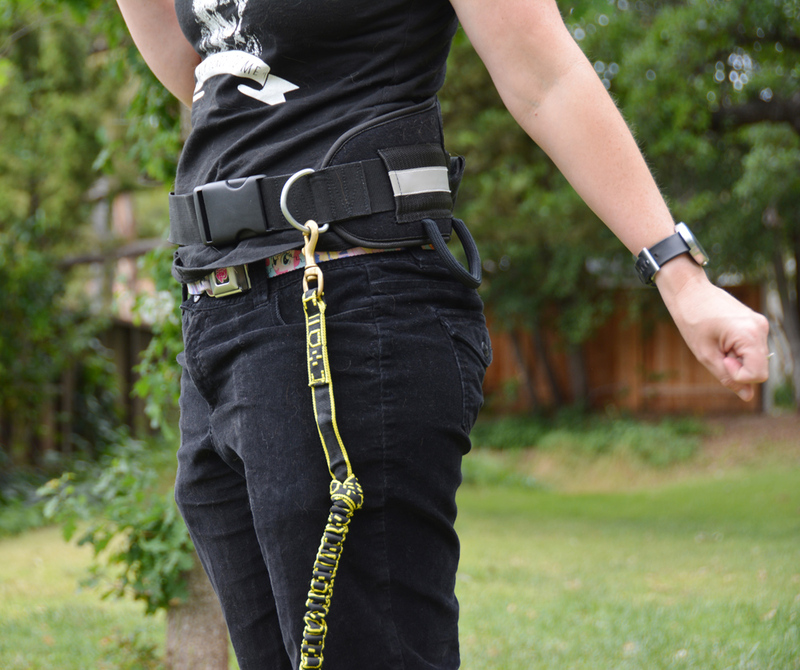 Bottom Line: This is an affordable, durable, comfortable mushers belt. 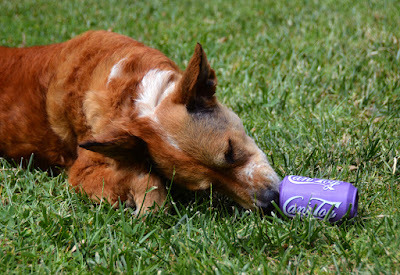 SodaPup's Original Can Toy is a durable, stuffable toy shaped like a soda can. It is made in the USA from natural rubber. The original Soda Pup comes in three colors and three sizes for dogs up to 90 pounds. The company is expanding their product line to include softer toys for puppies, extra strong toys for heavy chewers, and a variety of beverage-inspired toys for interactive play. I started seeing these SodaPup toys around Christmas time, but didn't get around to finally buying one until they went on clearance a few months later. I mean, it's like a Kong, and I already have a gazillion Kongs. Still, I wanted to see how it compares to the direct competition. 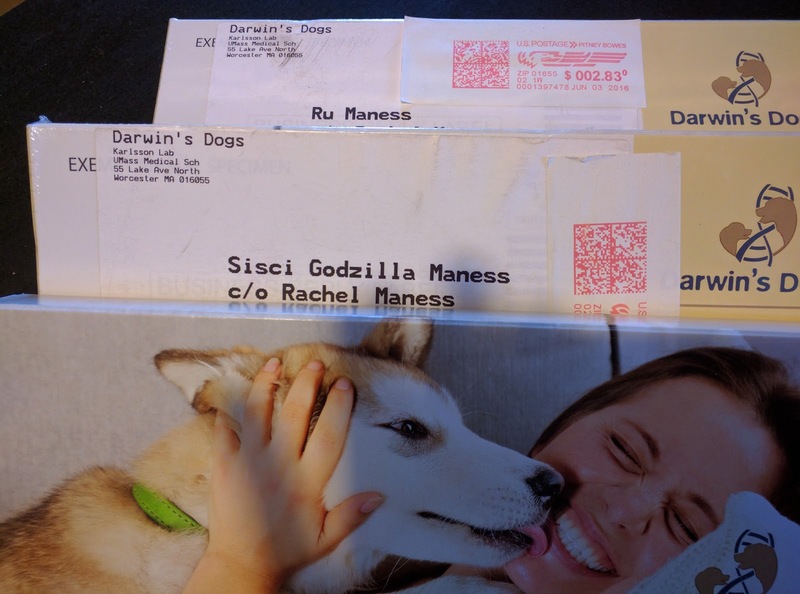 Also, it was a dog thing I didn't have yet and I have a problem. The Can Toy is quite solid and a bit heavy. It's hollow with a hole in the bottom to dispense treats. I can jam a dog biscuit in there, or fill it with kibble. 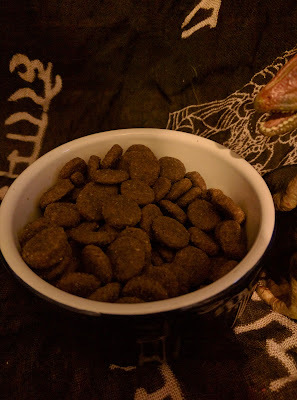 Smaller kibble falls out pretty quickly, but it larger treats work pretty good. This toy seems at least as durable as a Kong, with the bonus of not having a smaller end to get a good grip for gnawing. I suspect a heavy chewer would be able to get their teeth on a corner and destroy it, though. The cylindrical shape does make it a little bit difficult to clean the very bottom right around the hole. Pros: Non-toxic and made in the USA. Does not smell like new tires. Bounces and rolls. Very durable. Cons: Somewhat difficult to clean when stuffed with peanut butter or other goopy treats. Bottom Line: I need to have a heavy chewer test this out for me. 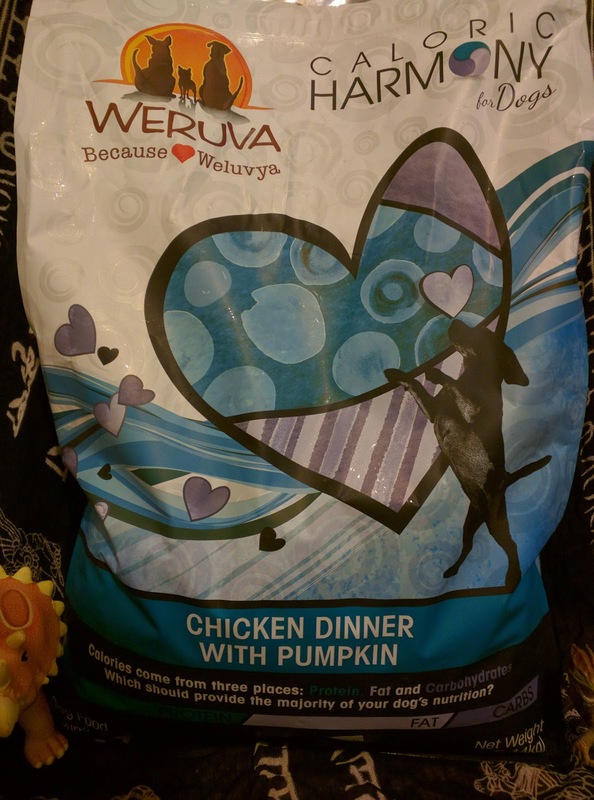 Apparently Weruva makes kibble now, so obviously we had to try out a bag of Caloric Harmony Chicken with Pumpkin Dinner. Weruva doesn't currently make anything fit for Brisbane's long list of allergies, but Sisci and Ru were happy to eat this new dog food. I've spotlighted Weruva's canned foods in the past. This is a lovable company run by people with adorable rescue pets that they named their business after. They do a great job of seeming like there are real, actual people with souls behind their food. I can't find any information about their brand being part of some giant investment firm's portfolio. Weruva's canned foods are made at a human food facility in Thailand. Their new kibbles are produced in Canada's first facility to be approved by the British Retail Consortium. The BRC has some of the strictest food safety standards in the world. This particular selection of Caloric Harmony is grain-free, potato-free, and tapioca-free. That's pretty unusual. 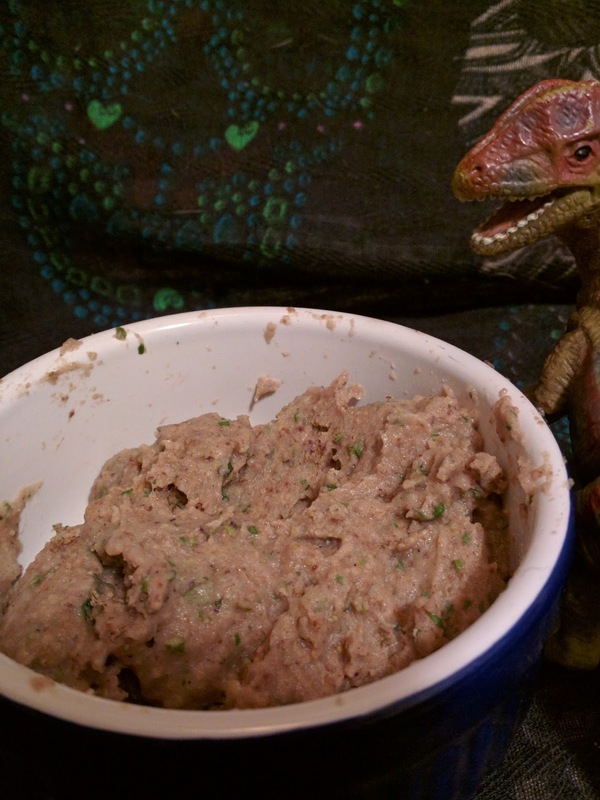 The Harmony line also includes a chicken/turkey/salmon food, and a venison/salmon food. Unfortunately the venison/salmon option is full of barley and eggs, so not good for Brisbane's chicken/turkey/duck/eggs/corn/barley/sweet potato allergies. Weruva's Caloric Melody line offers similar selections that are less expensive because they have less animal protein and more plant protein. Both Harmony and Melody rate five out of five stars on the Dog Food Advisor website. 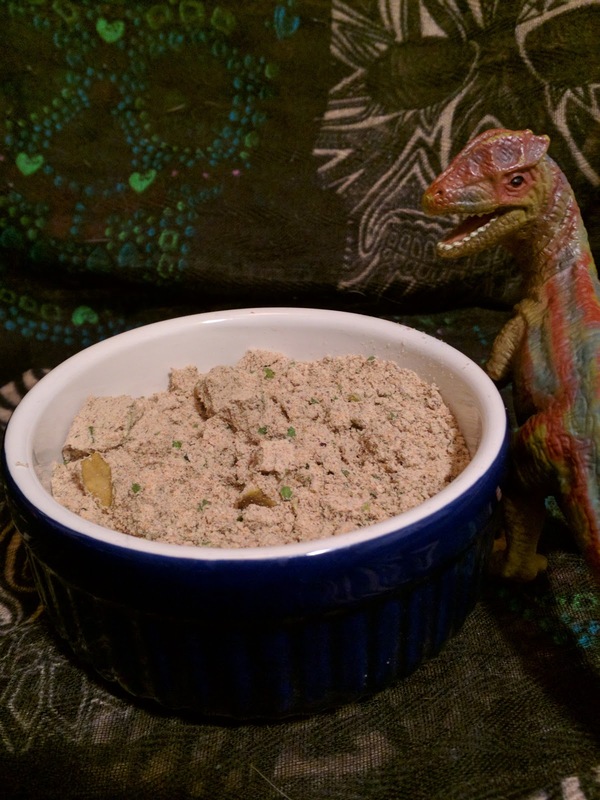 Picky little Ru likes this kibble, which is nice. It's not his most favoritest thing in the world, but he eats it most of the time. Sisci also ate it with her usual enthusiasm. The kibbles are average-sized and round, no super-exciting shapes or colors. 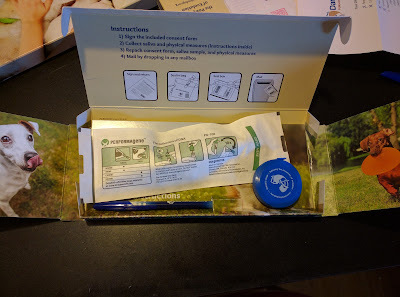 I really like Weruva as a company, and I trust their manufacturing standards. Obviously I approve of them enough to buy a big bag of dog food, and I will probably try one of the other flavors one of these days. The Pet Corrector is a product from the Company of Animals. It is advertised as a device that emits compressed gas with a loud hiss. The noise is intended to interrupt unwanted behavior. The company suggests using it to stop your dog from barking, jumping up, stealing food, chasing, and going places you don't want them to go. 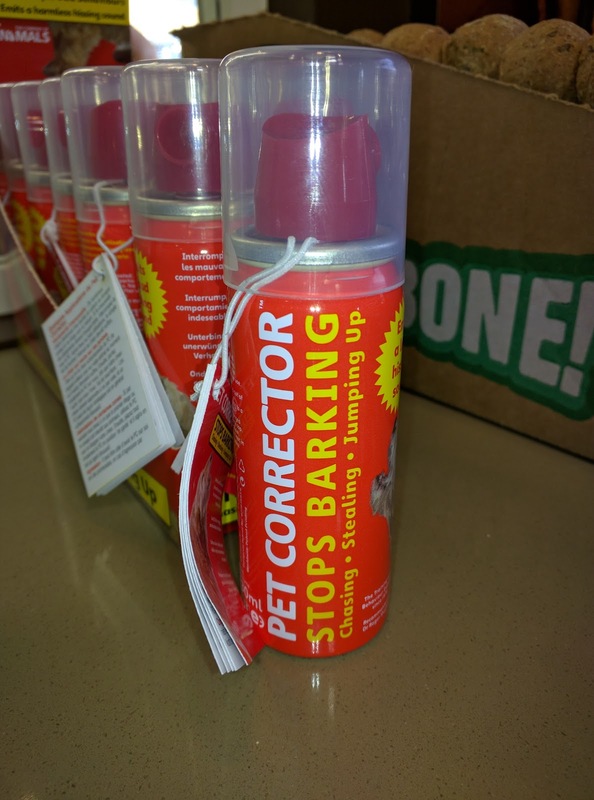 Not just for dogs, Company of Animals also recommends the Pet Corrector for stopping unwanted behaviors in cats, horses, and any other animal. At face value, this seems like a handy product. After all, it's just a harmless sound, right? When I first saw this product, it reminded me of the squirt bottles I use to make my cats be less obnoxious. They stand on my head and yowl at 5am, I squirt wildly around the bedroom in a semi-conscious frenzy, the cats decide that waking me up for breakfast isn't such a great idea after all. The Pet Corrector differs from a squirt bottle in two very important ways. First, it is not intended to be sprayed at the animal at all. Second, it is much louder than a squirt bottle. It's pretty damned loud. The Company of Animals has training information describing exactly how the Pet Corrector is to be used, but I have yet to see anyone in public demonstrate a thorough understanding of this information. This device is used for the purpose of positive punishment, that is, adding something unwanted in response to a behavior. Positive punishment can be effective, but is not without risks. When positive reinforcement is done wrong, nothing really terrible happens. When positive punishment is done wrong, it can have unintended consequences. One of our classmates at our first session of agility class had a miniature poodle. Olly the poodle apparently had some issues doing on-leash greetings with other dogs. Like many dogs, he felt nervous and the tension would build until he barked and snapped at the other dog as a way to get more personal space. This is actually normal, leashed greetings are unnatural and very few dogs are 100% comfortable with them so most knowledgeable dog people avoid them entirely. However, Olly's handler felt he just wasn't being polite, and that his unwanted behavior needed to be corrected. Enter the Pet Corrector. At class one day, a person walking their dog wandered over to ask about agility. She was walking a little shih tzu that she allowed to wander up to Olly as she spoke to his handler. Seeing the opportunity to correct an unwanted behavior, Olly's owner pulled the Pet Corrector from her pocket. When Olly couldn't figure out how to disengage from the social interaction and instead snapped at the other dog, his handler sprayed him with the canister. In her attempt to correct her own dog's unwanted behavior, Olly's mom also punished the shih tzu that Olly had been greeting. That dog bolted to the end of her leash and stood there trembling, she may be much more nervous the next time she greets a strange dog. Olly's mom also succeeded in punishing Sisci from 30' away, this was our first class and Sisci was extremely nervous about all the new sights and sounds. A sudden loud, scary sound definitely did not help her feel like the park was a safe place. Can the Pet Corrector be used responsibly? Sure. However, the information provided by Company of Animals fails to mention the potential for collateral damage. I've been seeing these No-Hide rawhide alternative chews by Earth Animal everywhere. I had avoided purchasing them because they all contain eggs, but I decided to let Sisci try one after seeing some daycare dogs devour them. Brisbane is allergic to eggs, and also happily eats anything edible he can find. Sisci isn't always great about finishing her goodies, so I monitored her carefully to make sure she didn't leave any leftovers for Briz. 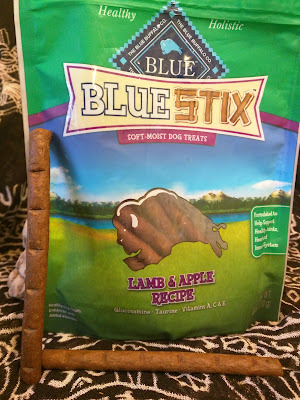 Good For: Lasting about as long as a bully stick, but not as long as a rawhide or yak chew. Being delicious and engaging for about 20 minutes. Dogs that may gulp down the entire chew, as it is totally digestible. Not Good For: Dogs with egg, chicken, or rice allergies. Surfaces you don't want covered in traces of white goop. Lasting as long as a quality rawhide. 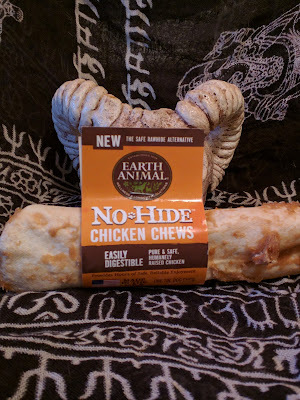 How Much We Like Them: At $10, the No-Hide was just not worth the money. Bully sticks are cheaper and don't leave gunk all over my throw pillows. 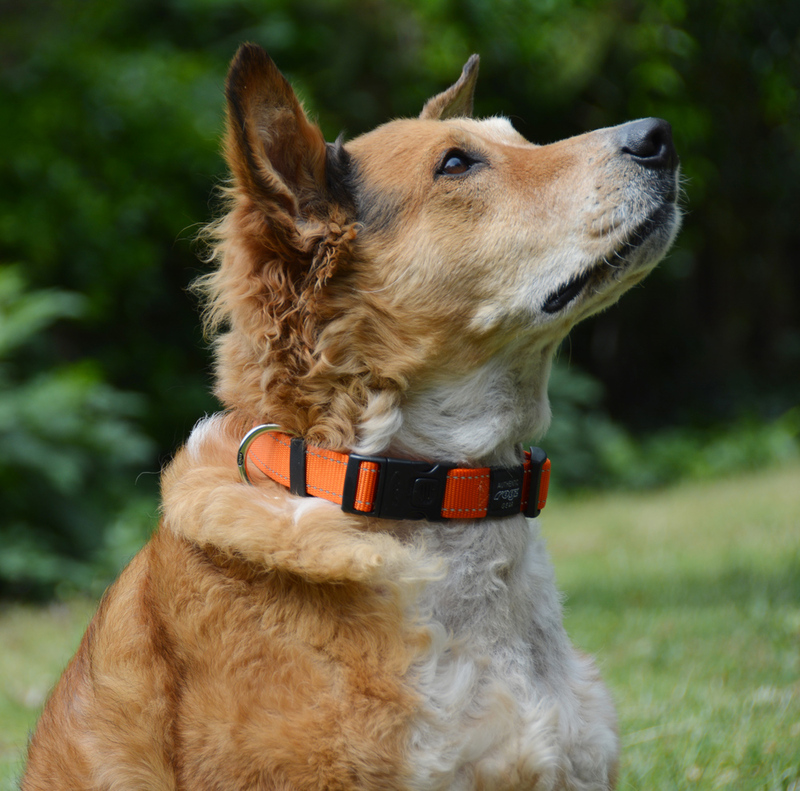 Top Paw's new Easy On Training Collar is one of the several new styles of prong collars to hit the market in the last couple of years. Unlike traditional prong collars that tighten with a chain loop, and must be unclipped at the chain or have the links themselves separated, this one uses a nylon strap that unbuckles. It is available in four sizes, and the collar can be custom fit by adding or removing links. I don't use prong collars on my dogs, for a number of reasons. 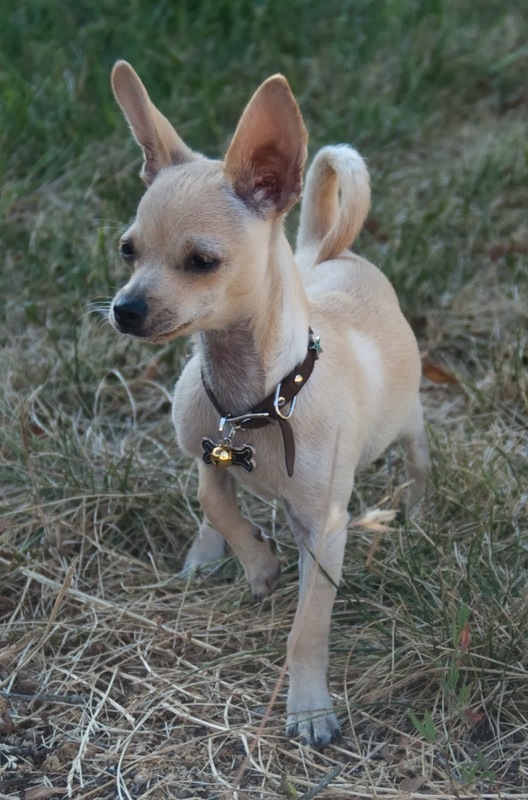 The biggest is that a prong can increase reactivity and make dogs more worried about whatever they may be reacting to. I have used prongs on some large and physically insensitive client dogs that did not have reactivity issues. They aren't torture devices in the right hands, and I like them a lot better than choke chains for average pet owners and their undisciplined Labradors. This particular prong collar is interesting enough to be worth discussing, which is why I put it on Brisbane long enough to take a picture. I've seen a few people use these, and I always worry a little bit when I see them take the collar off or put it on. 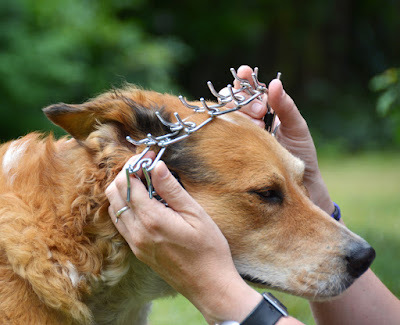 See, the prong collars with the chains that open with a snap open up all the way, and to put them on you must thread the chain back through the other end of the collar. The Easy On prong collar does not open up all the way. The two halves of the plastic buckle do not slide all the way through the metal part, so the collar just opens up wider while remaining in a circle. To put it on, you have to slip it over the dog's head. Though the prongs are dulled, they could still potentially catch an eye or sensitive bit of mouth when pulled over the dog's head. For this reason, I strongly recommend the prongs be flipped inside out when putting the collar on or taking it off. It adds a few seconds to the procedure, but I think it's worth it to minimize poking a dog in the eye. This is an easier prong collar for the general public to use, but I don't find it quite as versatile as the traditional ones. 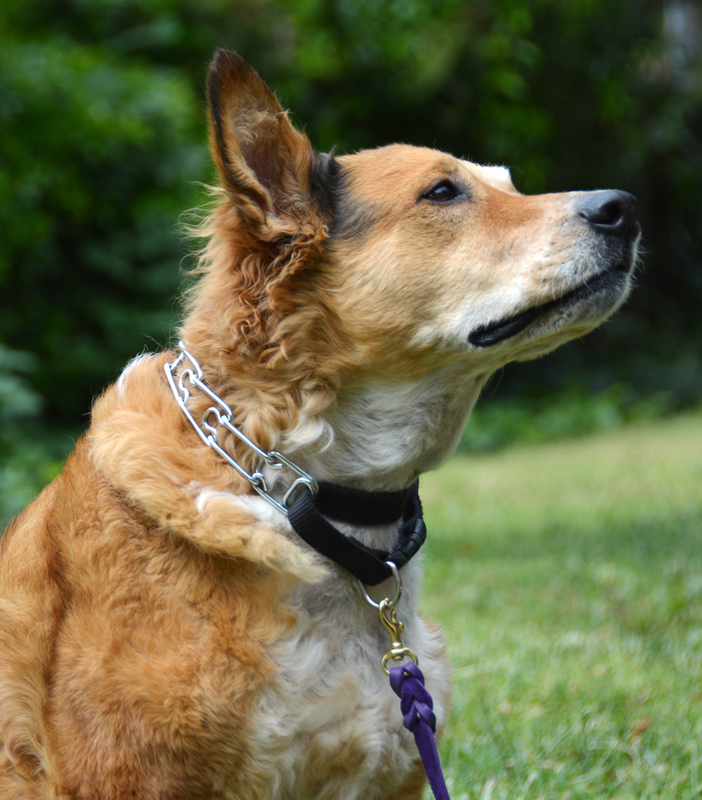 With a chain loop, the leash can be clipped to the rings on either side so that the collar does not tighten. This makes the collar less severe. The Easy On prong collar has a single leash ring that tightens the collar when pulled. There is no secure attachment point that does not tighten the collar. Pros: Much easier and faster to put on than a traditional prong collar with a chain. Does not require unlinking. Easier to use with sore or arthritic hands. Cons: Does not open fully, must by pulled over dog's head. Leash cannot be attached in a way that does not tighten the collar. Bottom Line: Call me crazy, but I'd actually rather see a dog walking somewhat decently on a prong collar than gasping and straining against a flat collar while putting unnecessary wear and tear on their trachea and neck nerves and stuff. Use a prong, use a head halter, use a no-pull harness, use a regular harness, train them to walk nicely or use a bandaid for the problem, just do something. This soft step-in harness is by Dog101, yet another SimplyShe brand. It is really amazingly soft on the inside. This one has a Petco Sku, so I know where it originally came from. Ours is an extra small for bitty dogs. SimplyShe makes a bunch of different brands and and product lines of clothes for dogs. They are the company behind Glamour to the Bone, Wag-a-Tude, and a few others. I see their stuff at Petco, Ross, Walmart, Marshalls, and various other discount and big box stores. Ru has a bunch of SimplyShe stuff just because they make clothes that fit him. He's a bit long and a bit narrow, and a lot of basic dog clothes are just too wide and not long enough. I don't usually use little vest harnesses like this on him though, because they tend to wrap around his shoulders and make the rest of him look extra-long. Pros: Super soft lining for delicate skin. Easy to put on, and no confusing side adjusters. Comes in tons of different colors and patterns. Cons: Not very adjustable. The sound of the velcro opening may startle some dogs. 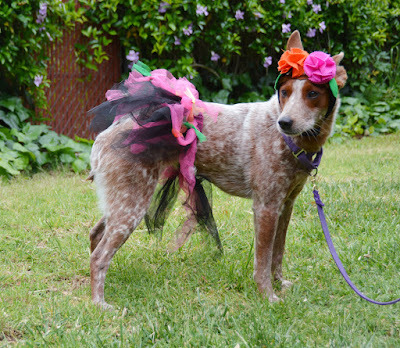 Step-in style puts the leash ring directly over or even in front of the dog's shoulder. Bottom Line: This harness isn't a great fit for long-bodied dogs with owners that are self conscious about their dog's long-bodiedness. The Rogz for Dogz Side Release Collar is quite possibly the most secure flat buckle collar on the market. Our Utility collar features reflective stitching, a big round die-cast leash ring, and a locking mechanism on the buckle. The design of the collar, with one end of the buckle passing through the ring fasten the collar, makes for a stronger design than the standard quick-released buckle collar. 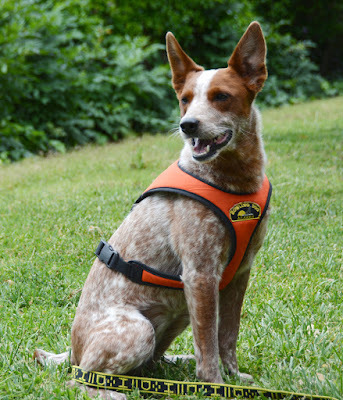 Rogz Utility Collars are available in ten colors, and five sizes to fit dogs with necks 8-31" around. "Overkill" is the word I want to use to describe this collar, but there are tons of dogs for whom this would be just right right amount of kill. Basically, it looks like Rogz examined every way a nylon collar with a plastic quick release buckle has ever failed, and then took measures to prevent those failures. Working at doggy daycare, I see a lot of collar failures. Plastic quick release buckles are a definite weak point, either the plastic cracks or another dog manages to pop the release during play. 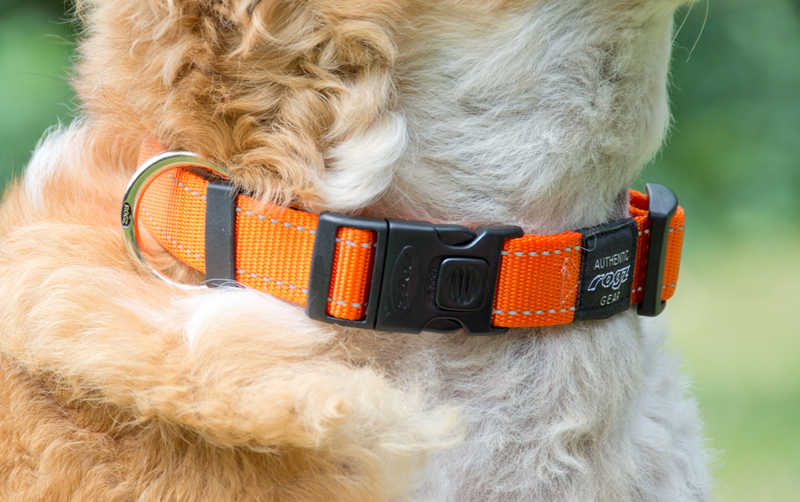 The buckle on the Rogz Side Release Collar is heavy, sturdy, and curved so it contours to the dog's neck. It also has a little sliding lock to prevent accidental opening. I think this is great from a security standpoint, but I actually take these collars off the dogs at daycare because that's a place where getting a collar off in an emergency is the bigger priority. 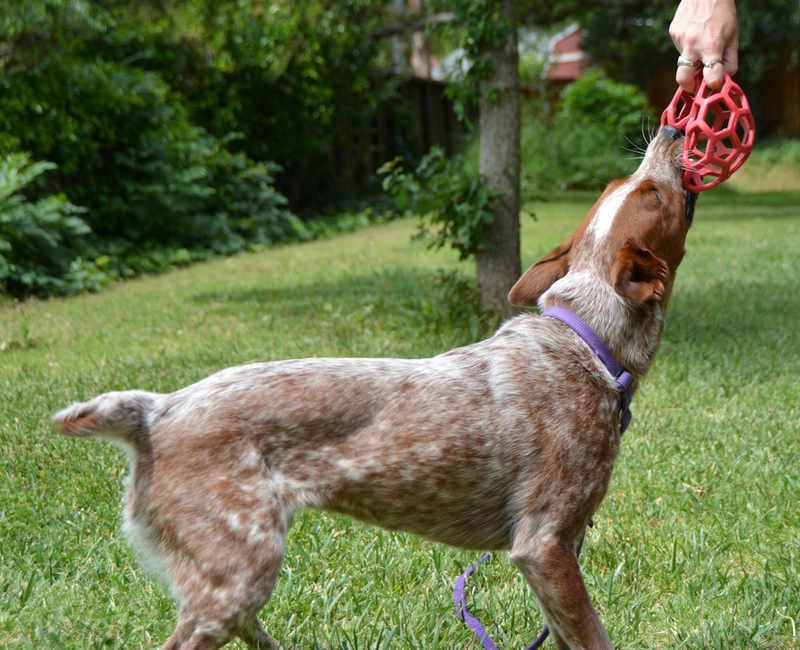 The lock is very easy to use, but might slow me down when trying to unbuckle the collar on a panicking, flailing dog. There appears to be a common misconception that this is a breakaway buckle when unlocked. This is not a breakaway collar at all. The leash ring on this collar is unique. It's big, it's round, and it's die-cast which means it's a solid hunk of metal. Most collar hardware is made from metal rods bent into shape. If the collar is really cheap, the story ends there, with a metal ring that can bend right off the collar when enough force is applied. Most decent collars have welded hardware, which is stronger but still prone to failure at the weld if you have a really strong dog. The Rogz Side Release Collar has a ring that is cast in one solid piece with no weak points at all. At work, I've seen a couple of different collars fail at the stitching, usually near the buckle or at the leash ring attachment point. 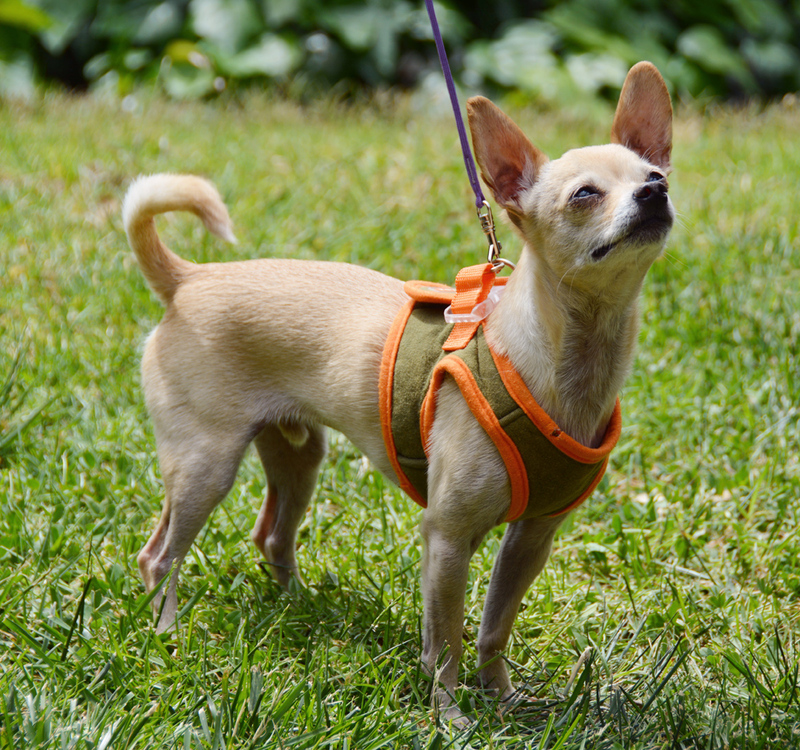 If the dog wears several heavy tags, the weight swinging around can even cause the leash ring itself to wear through the webbing. Some plastic quick release buckles simply open with enough force. 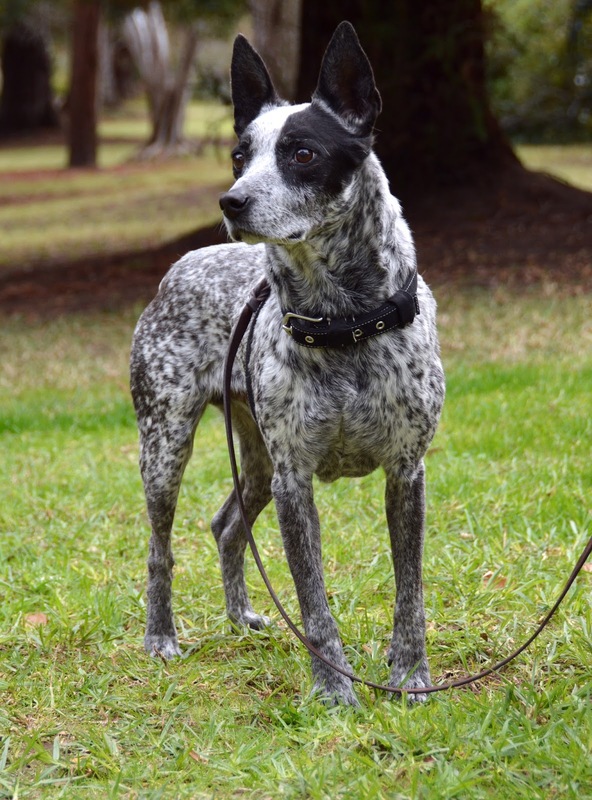 Rogz has utilized the classic ring-end collar design to prevent that sort of failure. When the collar is unbuckled, the leash ring sits on one end and half the buckle sits on the other. The rest of the buckle is located several inches up the collar from the ring, so that the buckle end must pass through the ring in order to close. This means that force applied to the leash ring mostly goes on the nylon webbing and not the buckle itself. Pros: Tough, secure, and stronger than standard nylon collars. Can't open the buckle accidentally. Built to last forever. Cons: The colors fade pretty quickly, so despite being structurally sound this collar will start looking old within a few months. Even brand new, the reflective stitching isn't terribly visible at night. Bottom Line: I've seen quite a few reviews of these that complain that the buckle doesn't release under pressure when unlocked. It's worth mentioning again, this is not a breakaway collar. The lock simply prevents the buckle from being opened at all. When disengaged, the quick release buckle functions like a normal quick release buckle, opening when the sides are squeezed. The buckle should never release under pressure at all. Well, we tried the Sileo gel prescription medication for canine noise aversion, and it did not help Ranger have a quiet Fourth of July. Sileo is fast-acting and promises calming without sedation. It comes in a syringe and it given 30-60 minutes before the anticipated noise. It may be given at two-hour intervals while waiting for the noise to stop. Though he was wearing his Thundershirt, safely cocooned in an interior bathroom, with his Through a Dog's Ear playing, and lots of white noise happening in the rest of the house, Ranger still panicked. He will hopefully be seeing Brisbane's amazing vet sometime in the next week, and we're hoping to get him on some anxiety medication as well as unraveling the cause of his ever-worsening limp. I'm not quite ready to doubt the effectiveness of Sileo yet. Ranger has a lot of general anxiety in addition to his noise aversion. He also has some sort of chronic pain causing him to limp. If we can get those two stressors under control, it's possible the Sileo could help him get through the worst of the fireworks holidays. Brisbane and Sisci were a bit worried but did fine with the air conditioner running along with their Through a Dog's Ear calming music. Ru and Annie didn't even notice the fireworks. I think the dogs and I might go camping somewhere without fireworks for New Years, just to give Ranger some peace. For dogs that aren't too spooked to eat, pairing food with fireworks is a powerful way to help quell fears or even prevent them. If you have a puppy or a new dog that hasn't been through an explosives-heavy holiday with you yet, plan on spending the Fourth of July showering them with treats every time they hear a pop or a boom. I did this with Brisbane as a baby puppy and he has been unfazed by fireworks and thunderstorms ever since. We still have treat parties around the holidays though, because more reinforcement can't hurt. 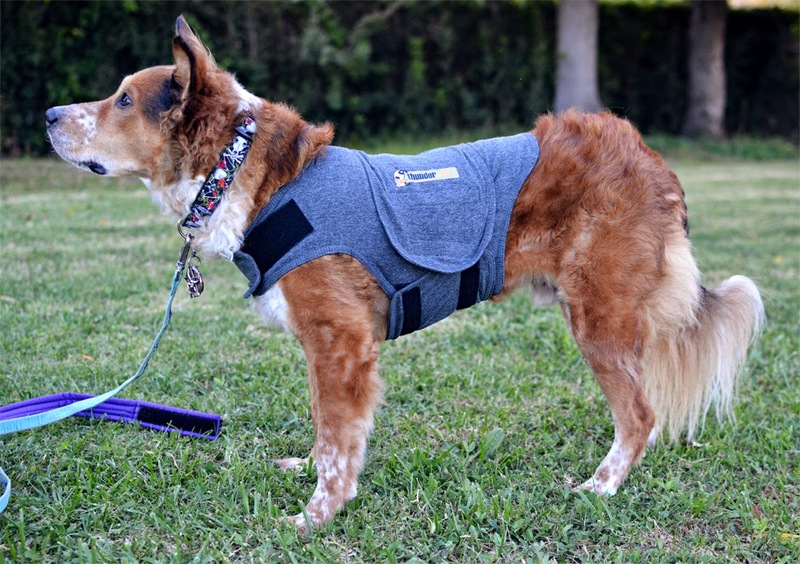 They don't work for every dog, but anxiety wraps like the Thundershirt can help some dogs feel more secure during fireworks season. 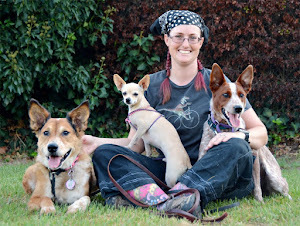 I think they're worth a try, for some dogs they make a huge difference. If the price seems unreasonable, buy used on eBay. You can always get yours from a big box store with a good return policy too, if you're not sure whether it will help your dog. Or just wrap your dog up in an ace bandage. "Through a Dog's Ear" is classical music specially designed for dogs. It was developed through careful study, first comparing various types of music to identify classical as the most calming, and then analyzing the different aspects of classical music. The result is what I can only describe as incredibly boring piano music that my dogs love. I play it in the car when they get antsy on long drives. I play it for the dogs at daycare when I'm there late in the evening and someone can't settle. I also play it on the Fourth of July to help everyone keep their cool. In addition to our special boring piano music, I make sure there is a lot of white noise in the house when explosives are going off outside. Fans and air conditioners are great for this. Televisions are too, go ahead and turn the sound way up, just don't pick a film with a lot of pyrotechnics. Really fearful dogs may prefer a small space like a closet or bathroom in the middle of the house with their music, insulated by a houseful of box fans and televisions. Acepromazine used to be the drug of choice for dogs with noise phobias, but recently it has fallen out of favor because it really just sedates the body, while the mind remains fully aware and free to freak out. There are actual anti-anxiety meds out there now, including a new one specifically for noise phobias. It's called Sileo, and Ranger will be trying it out for the first time this evening. Will it work? I'll let you know. How does your dog handle fireworks? 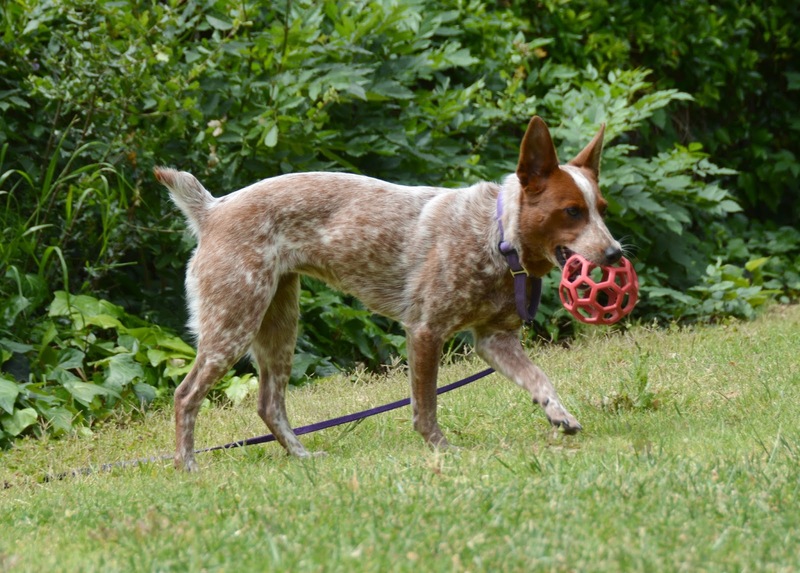 PetMate's JW Hol-Ee Roller is a one-of-a-kind rubber toy with tons of uses. Though there are many imitations and a number of variations offered by PetMate itself, the original Hol-Ee Roller remains the most versatile. This ball comes in three sizes, the largest being 7.5" in diameter. The popular Jumbo Hol-Ee Roller is a a big ball that is easy to get a grip on. It flexes and collapses in a very satisfying way for dogs that like to chomp their toys. It does not present a choking hazard even for giant breed dogs. This ball is awesome for interactive play. It can be thrown indoors or outdoors without worrying it will hit something. 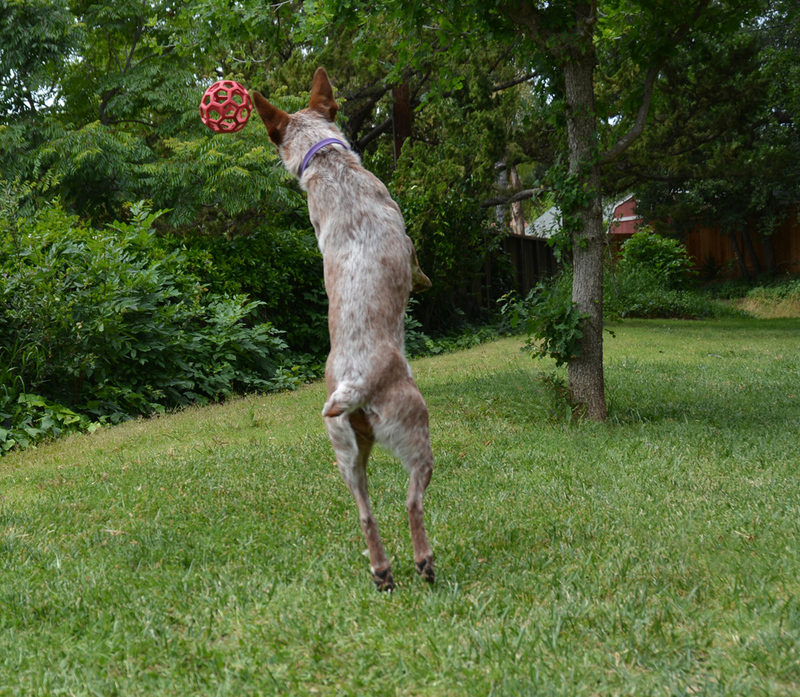 The large shape is easy for dogs to track and catch in the air. It can be used for games of tug as well. No matter what you do to it, the ball always pops back into shape again. The Holee Roller can also be modified in multiple ways. A rope can be tied through it for easy tugging and flinging. The holes stretch enough that a tennis ball can be jammed inside. You can even jam big chews and food items like pig ears and large biscuits in there for your dog to puzzle over. As awesome as this ball is, there are some limitations. Rubber is easy on the teeth, but can also be chewed through very quickly. The Holee Roller is definitely not a chew toy, and won't stand up to much gnawing. Pros: Very versatile, many different uses and ways to play. Cons: Unlike the JW Megalast product line, this toy is easy to gnaw into pieces if your dog is in a destructive mood. Bottom Line: Better for interactive play than self-entertainment, particularly for dogs that like to chew. When I spotted Spot Farms Grain Free Pork Recipe Dehydrated Dog Food, I was intrigued. When I read the list of ingredients I knew I needed to get this for Brisbane. He had major surgery less than two weeks ago, and still has quite a lot of stitches in his mouth. I've been feeding him canned food Honest Kitchen premix with cooked meat, and Fresh Pet Vital dog food. Having another very soft food option is awesome. As Brisbane is allergic to chicken, turkey, duck, eggs, corn, barley, and sweet potato, having a limited ingredient, single-protein dehydrated food is amazing. Spot Farms sources all of their ingredients in the USA. They use chicken, turkey, and pork raised without antibiotics. Our box of pork dog food has a picture of Ralph the pig farmer from Iowa on the back. The website and product packaging loudly proclaim the food to be human grade, but with a asterisk leading to a statement that the food is indeed for our pets and not for humans. The lack of detailed company history or information about the founders or inspiration for their products leads me to believe that Spot Farms is probably one of several brands owned by the same company. Their contact info is for Arthur Pet Products of North Carolina. 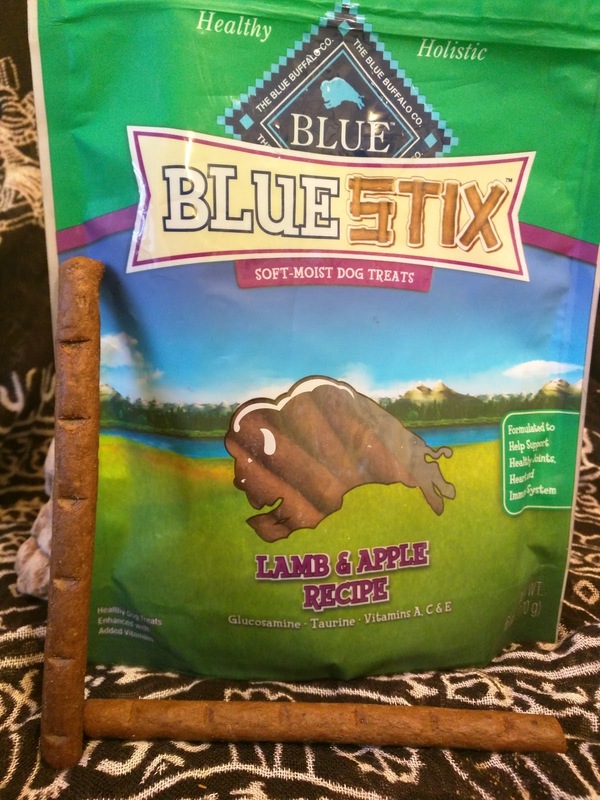 This same company owns Full Moon Dog Treats, which has a website almost identical to the Spot Farms site. Following the trail further, I learned that Arthur Pet Products is a division of Perdue Farms Inc. Perdue Foods produces chicken, turkey, and pork, and is indeed a family owned business. I had to really dig to find whether Arthur Pet Products was really theirs, and it is. 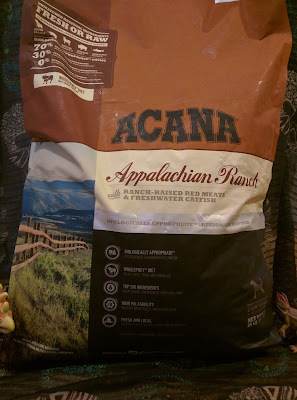 They seem like a good business with a decent focus on meat animal welfare, it's toobad they decided to go the giant faceless corporation route with their dog food. My first thought when preparing this food was that the recommended portion sizes for this food seemed very large. My second thought was that it seemed very much like canned dog food as soon as it was wet. It even smells like canned dog food. The food soaks up a ton of water, and gets really thick and difficult to stir. I actually had a bit of trouble getting all of the powder moistened before the whole thing turned into a giant squishy glob. Since there's no gelling agent or thickener like carageenan or guar gum in here, I'm guessing the potatoes are what gives the Spot Farms food that particular texture. Have you over over-mixed mashed potatoes with an electric mixer, so that they turn gluey? It's kind of like that. Brisbane likes this food. It's soft enough to be safe for a dog with missing or sensitive teeth, or a mouth full of stitches. At $35 for a 3.5 lb box, I doubt it's any cheaper than canned dog food, but it's a hell of a lot lighter to haul home from the store. Spot Farms dog food is new enough that the Dog Food Advisor website has not yet analyzed or rated their products. It looks like Perdue Foods had a recall earlier this year due to plastic bits found in chicken nuggets. They've also had recalls due to improper handling of raw chicken. All of their recalls seem to be voluntary, which means they value their customers over their reputation at least to an extent. This is only the second dehydrated, rehydrated dog food I've seen on the market. It is sold exclusively through Petco. 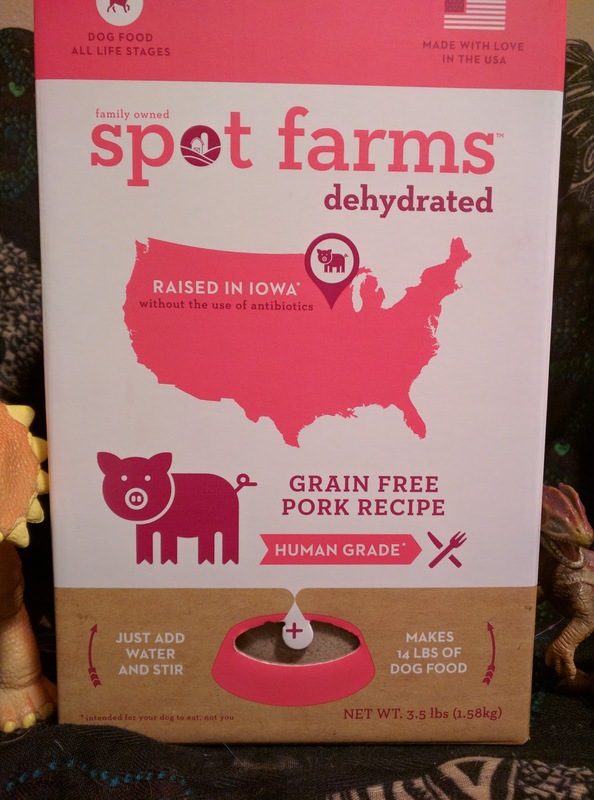 I like Spot Farms because they are a people food company that has branched out into dog food.